Ready to build your own dream machine? Is it time to stop watching the latest customization show on TV and get in the garage to build your ultimate custom race car, airplane, or motorcycle? If you answered yes to either question above, you're going to need to know everything you can about high-quality weldong before you start wrenching. Performance Welding Handbook is a comprehensive guide that will help you not only choose the right welding equipment and make error-free weld joints, but it also offers tips on working with all kinds of metals in a variety of welding processes, including TIG, MIG, and gas. This updated edition even covers the world of plasma cutting?a popular technique that has revolutionized metal working by allowing expert fabricators to use a very high temperature flame to cut more cleanly than with an oxyacetylene torch. Author Richard Finch?a certified welder and former consultant to NASA?explains all of these advanced techniques in his text and illustrates them with more than 230 photos. He also provides charts that offer essential information on welding rod options, welding alloys for aluminum and magnesium, and fluxes. Author Richard Finch?a certified welder and welding consultant to NASA?tells you everything about high-tech welding. His easy-to-understand text, combined with 230 photographs and tables, makes it easy to achieve perfect welds. If you're serious about welding, here is the most comprehensive information available. 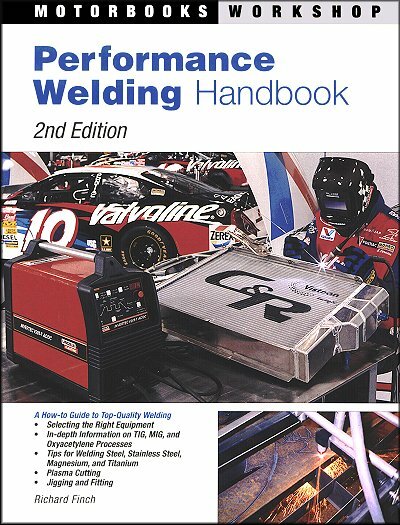 Ask a question about Performance Welding Handbook 2nd Edition.